China collectors are interested in vintage Wedgwood china, not only for the beauty of the pieces but for the opportunity for investment. Josiah Wedgwood was born into a family of potters in 1730 and by the time he was six years old he was apprenticed. He learned his craft well and as an adult he began experimenting with different formulas for porcelain and had made several technological advances in the process of design transfer. His abilities got him noticed and in 1765 he made a complete set of dishes for Queen Charlotte. His business grew rapidly with the notoriety from his claims of being the potter to the Queen. When Josiah Wedgwood died in 1795 he left his business to his sons. They were uninterested in running it and over the next century, although the china manufactured was of the highest quality, the business struggled. In the early 20th century the company began to flourish and in 1966 the stocks were introduced to the London Stock Exchange when the company went public. Wedgwood china is a relatively easy china to identify because the company has always marked and dated their designs. The first thing to look for is the spelling of Wedgwood. 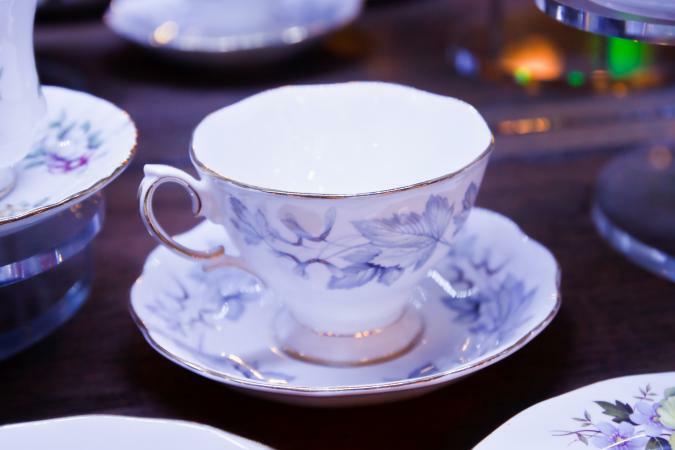 Some cheap imitations have mistakenly stamped fakes with the word, "Wedgewood." It may also have an urn with the word "Wedgwood" underneath it. The urn is the only image depicted in the Wedgwood markings.There is no such thing as unmarked Wedgwood. On very old pieces the marking may have faded over a very long period but there still should be some marking visible. Many of the pieces are marked with the month and year of manufacture as well. If not, you should get a certificate or guarantee of authenticity. From a purist's point of view antique Wedgwood will have been created before 1910. Antiques are described as being at least 100 years old in most genres. Often times novice collectors will say they have an antique Wedgwood plate when they really have a vintage pattern. Vintage Wedgwood china patterns would describe any pattern that was manufactured between 1910 and 1985. It is important to note the difference because obviously an antique pattern from the early 1800s would be rarer and more costly than a vintage pattern from the 1930s. It is important to keep your china away from direct sunlight and in a protected area where it won't be accidently chipped or cracked. A glass front cabinet will help protect your pieces and display them nicely. If you plan on using them always wash the dishes with a gentle soap and rinse thoroughly in warm, not hot, water. A folded tea towel in the bottom of the sink will keep your dishes from hitting against the sink and cracking. Allow them to air dry away from direct sunlight before putting them away. You can also store your delicate pieces in soft, flannel bags. These keep them dust free and will pad and protect them from accidental chips. Wedgwood is an heirloom and will be treasured for generations. Take careful care of your collection and it will delight your children and grandchildren years to come. If you enjoyed this article you may also be interested in LoveToKnow's interview with Jorge Perez, National Spokesperson of Wedgwood Royal Doulton USA.